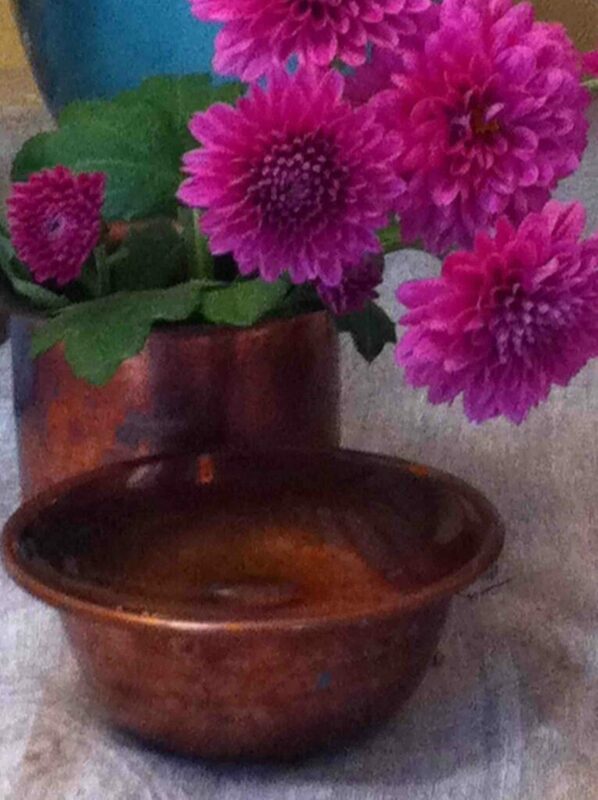 Each morning, my Tibetan housemate filled copper offering bowls to the brim with fresh water. She then walked slowly and steadily to the altar room, her gaze undistracted so as not to spill any precious drops along the way. Why did she not pour somewhat less water into the bowls and make her task easier? Try this water offering at home. If you stare fixedly into the water, hoping to grasp and hold it with fierce attention, the water will surely spill. Any narrowly focused awareness will eventually lead you to ‘trip up’ on whatever it is you are ignoring. In order not to spill the water, awareness must be everywhere: with the smoothness of your gait, the texture of the floor, the shapes around you, the intensity of your hold on the cup, the ever-moving surface of the water, on space and timing. And that awareness must flow from all of your senses, not just your eyes or mind. You must integrate your entire experience with pervasive awareness. You will discover two things when you make water offerings with ‘everywhere awareness’ orientation. First, fierce, narrowly-focused awareness is exhausting and fear-based. ‘Everywhere awareness’ is relaxing and confidence-based. Second, voila! With this simple act, you are practicing in a direct way; you are directly realizing and embodying the wisdom of the natural state.